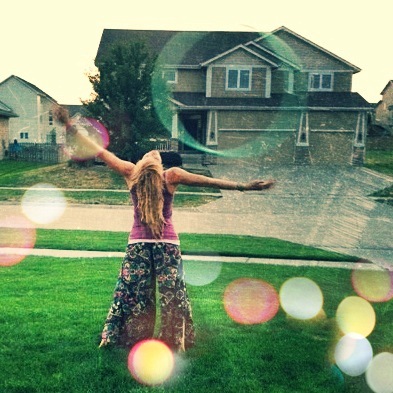 Hooping has taught me how to surrender. …how to find joy amidst chaos. …how to enjoy community and family time. …and how to let go. What have you learned from your hoop lately? 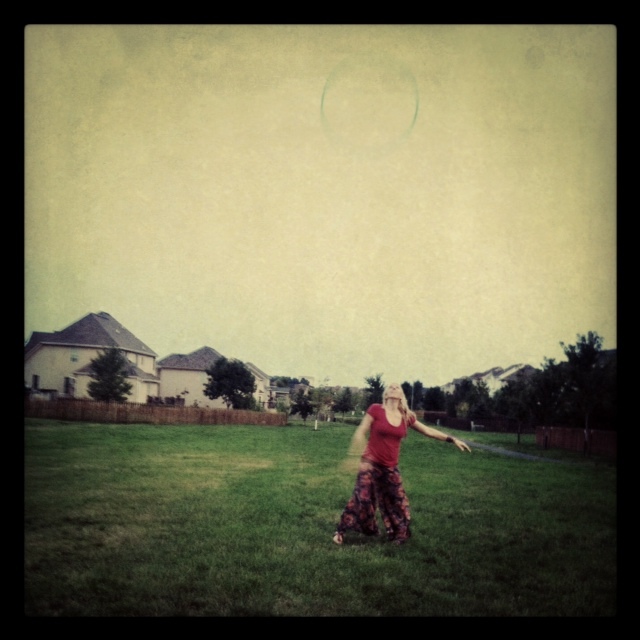 The first several weeks of my hooping journey have been blissful. I’ve been constantly surrounded by other hoopers…encouraged and inspired by their passion and skills. I realize that this is not the norm for most people who are starting out. 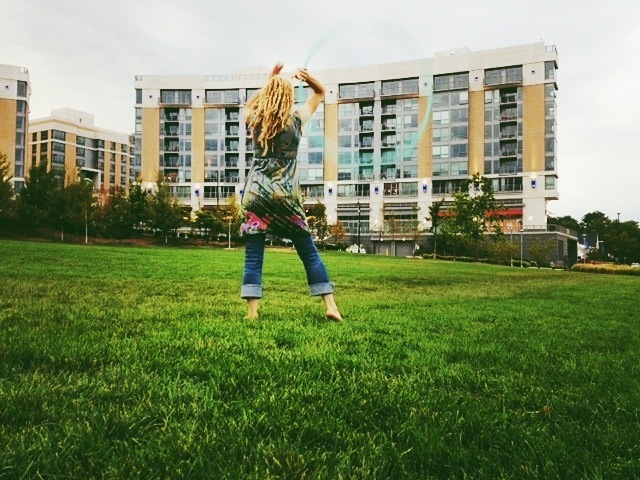 Many times, you might be the only person in a 50 mile radius with a hoop (or at least it feels that way!). 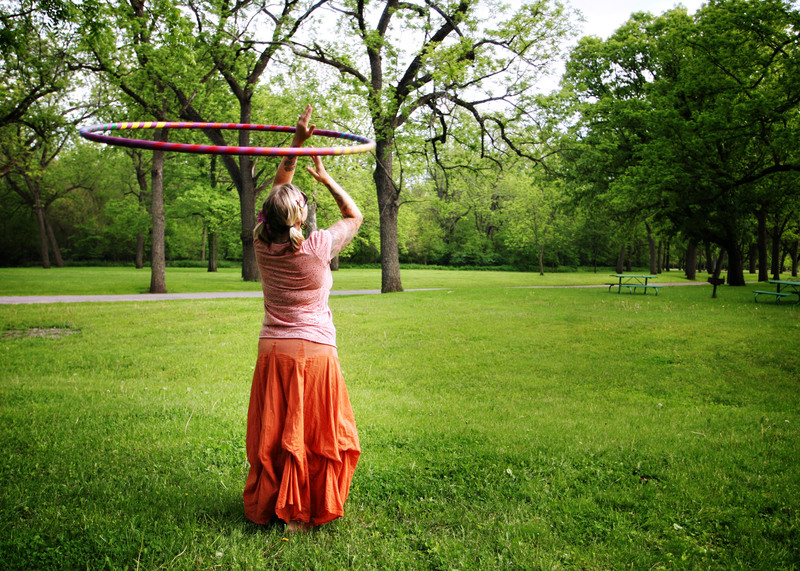 So I am grateful that I have a home on wheels and that I can travel to seek out hoop community. However, upon arriving at my parent’s home in Iowa…I had an epiphany. I put on some music, grabbed my hoop and realized that it was the FIRST time I had hooped alone. There was no one to judge. No one to watch. No one to impress. It was just me and the hoop. I felt so free. I was free to dance crazier, faster, slower, you name it. I didn’t care what it looked like and it was amazing. I haven’t had a moment like it since. 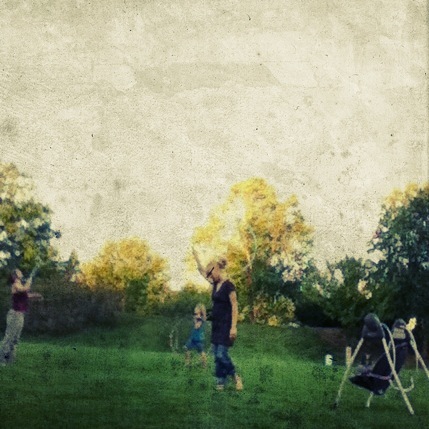 I usually have Bella hooping by my side, which results in “Mama, WATCH THIS! !” before every move…or Lucy is sleeping and I can’t turn up the music as loud as I would like. I’ve found myself craving some time alone in the hoop. What is your favorite time of day to hoop and where? Do you hoop in a certain room of your house? Outside? 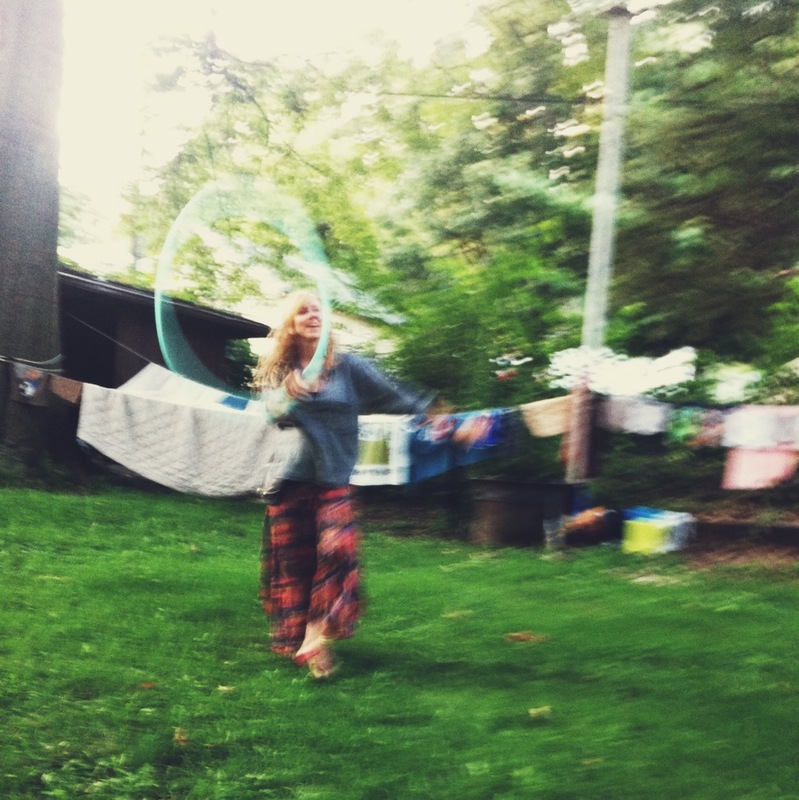 What are your thoughts on hooping alone?